For the tubes used and not supplied thanks Isa (FAU0008) e Linda (LF-MistedAbstract-25022015). 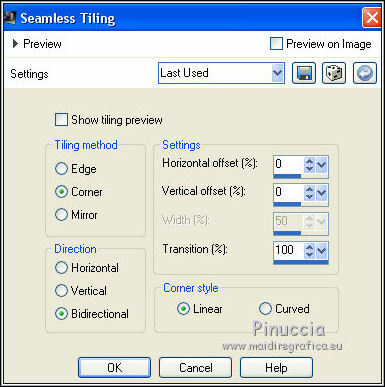 Filters Two Moon and Simple can be used alone or imported into Filters Unlimited. 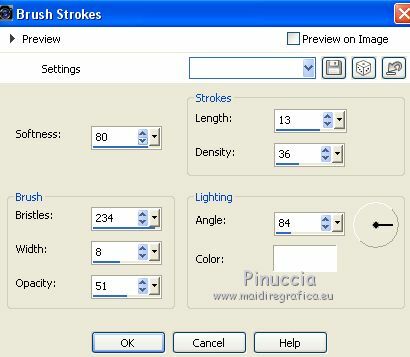 Place the brush in Brushes folder. 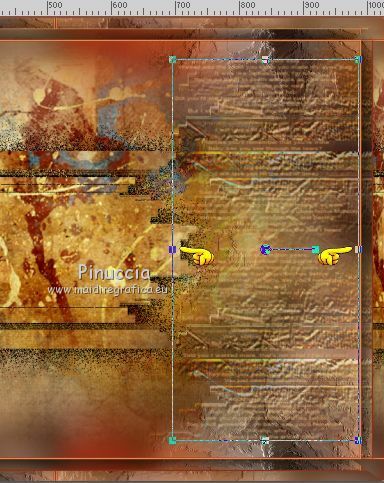 Attention, please, the brush is composed by two files, you must place both the files in the folder. Open a new transparent image 950 x 650 pixels. Of the other two colors created by the filter, change the third one with #f5bd79. (in the material you find the misted I used in my second version, with three different colors. 6. 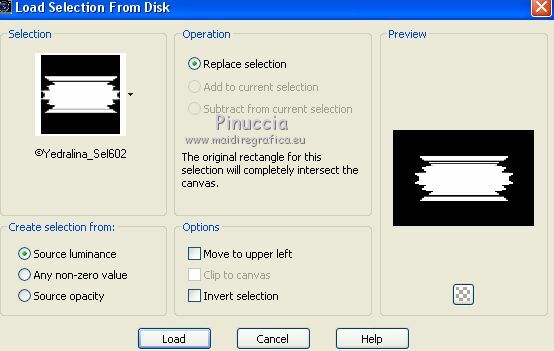 Selection>Load/Save Selection>Load Selection from disk. Look for and load the selection ©Yedralina_sel 602. 8. Effects>Plugins>Two Moon - Embostom, default settings. 9. 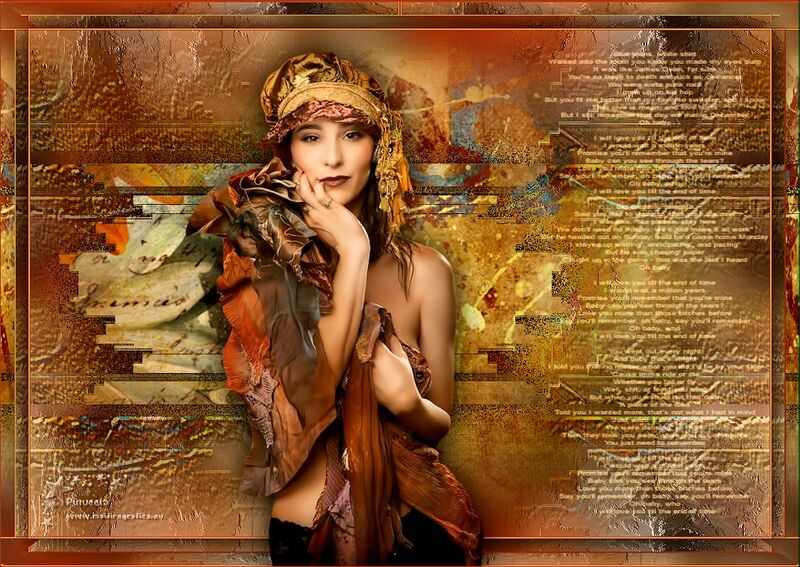 Effects>Art Media Effects>Brush Strokes. 10. Activate the top layer (Promoted Selection). 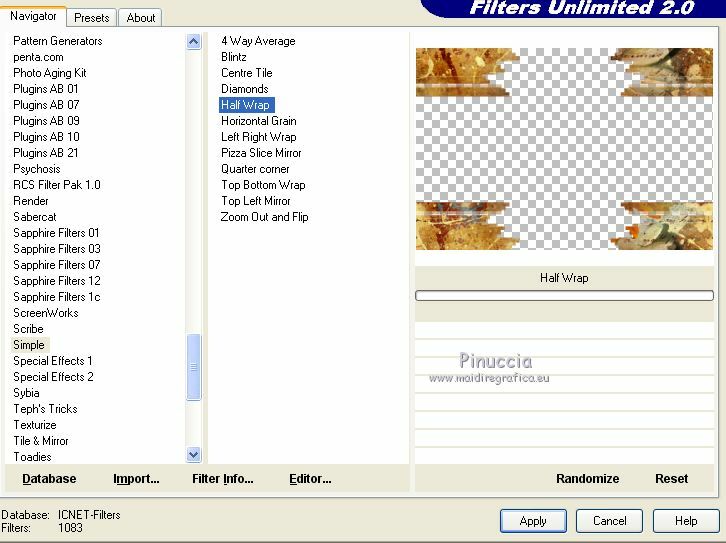 Effects>Plugins>Filters Unlimited 2.0 - Simple - Half Wrap. 12. Effects>Plugins>Two Moon - Emboston, default settings. Again Effects>Plugins>Two Moon - Emboston, default settings. 13. 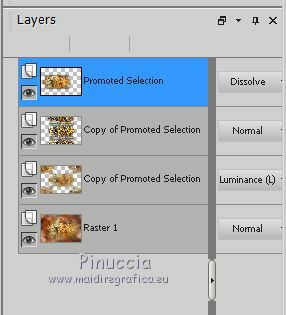 Activate the top layer (Promoted Selection). 14. Set your foreground color to #f5bd79. 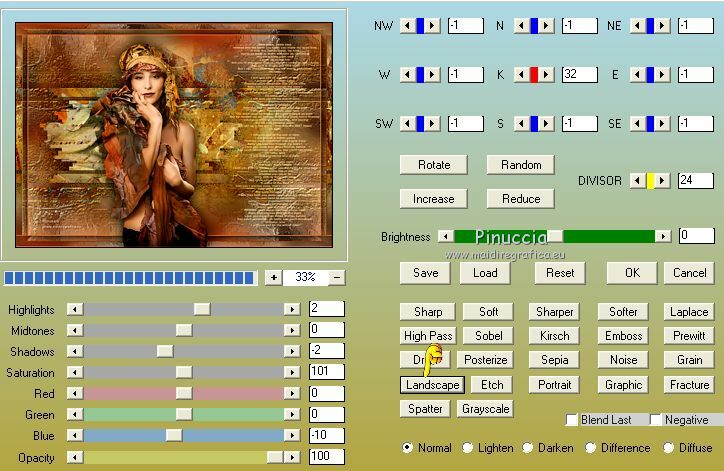 Image>Add borders, 1 pixel, symmetric, background color #b13c1d. Image>Add borders, 1 pixel, symmetric, foreground color #f5bd79. 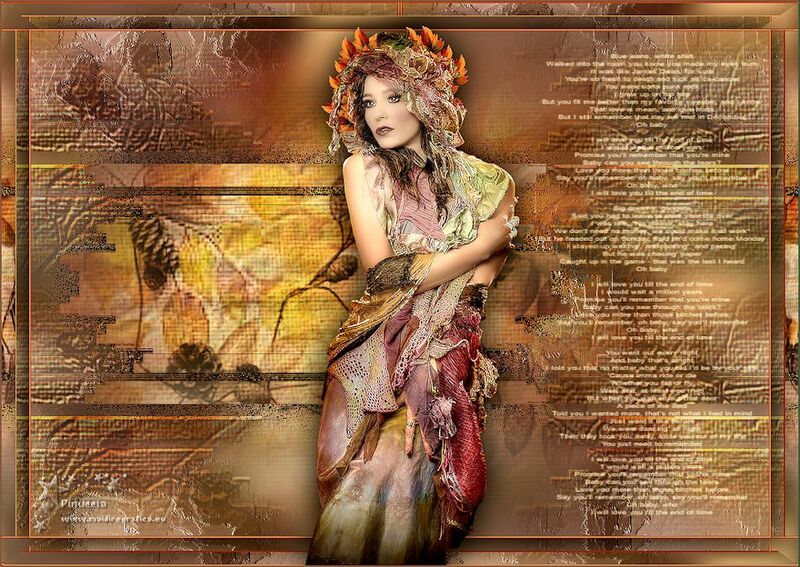 Image>Add borders, 35 pixels, symmetric, foreground color #f5bd79. 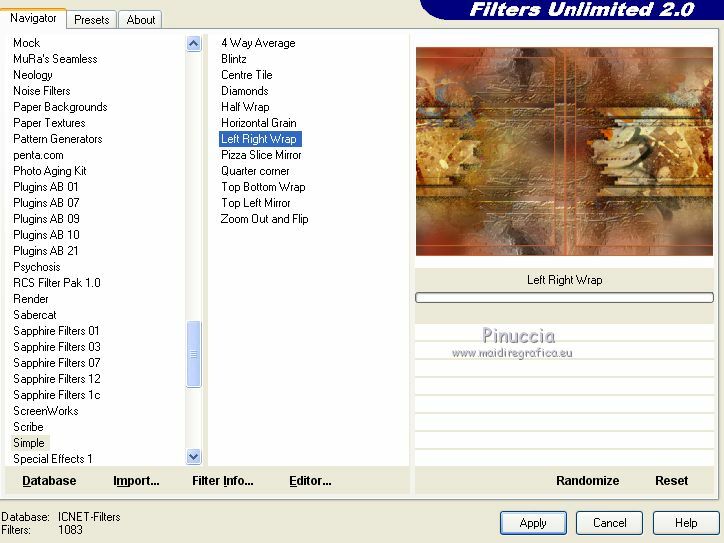 Effects>Plugins>Filters Unlimited 2.0 - Simple - Left Right wrap. 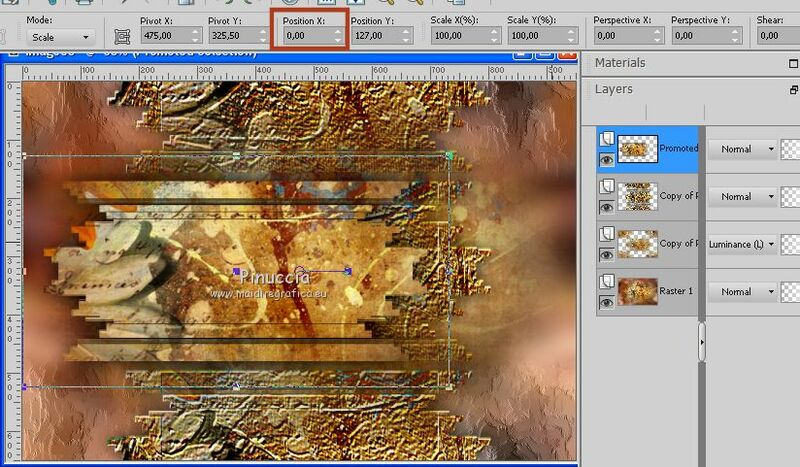 Effects>Plugins>Filters Unlimited 2.0 - &<Bkg Designer sf10I> - Alf's Border Mirror Bevel. to use the light foreground color #f5bd79. enlarge the brush by pulling the central nodes to the right and left. 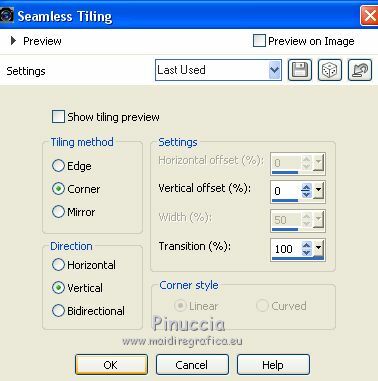 Change the Blend Mode of this layer to Screen, or as you like better. 16. Activate again your main tube and go to Edit>Copy. 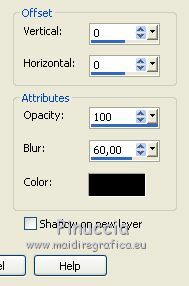 Effects>3D Effects>Drop Shadow, at your choise. 16. 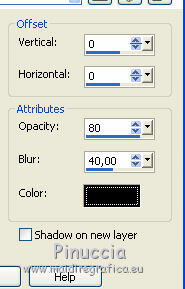 Image>Add borders, 1 pixel, symmetric, background color #b13c1d. 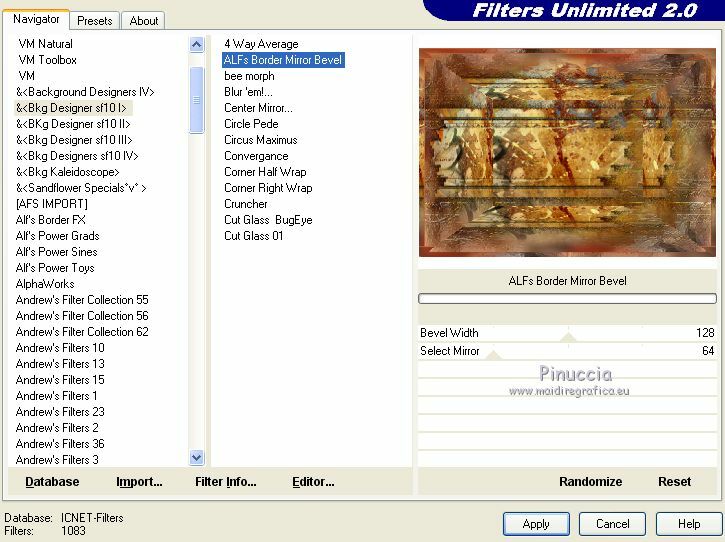 Optional: Effects>Plugins>AAA Filters - Custom,click on Landscape and ok.